The Sun has reported that Mr Lansman made the comments at the Jewish Labour Movement’s annual conference in Finchley, north London on Sunday, which saw over 200 members attend 17 different sessions with 54 different presenters. Asked whether the anti-racism punishment would benefit Jeremy Corbyn, the Momentum founder said the Labour party leader was committed to “lifelong learning” but said he “is a very busy person”. He later added: “We have made clear that any member of the national executive that is directly involved in adjudicating on cases or dealing with any aspect of anti-Semitism has to undergo training. “If Jeremy does that he has to. Express.co.uk has contacted Labour for comment. 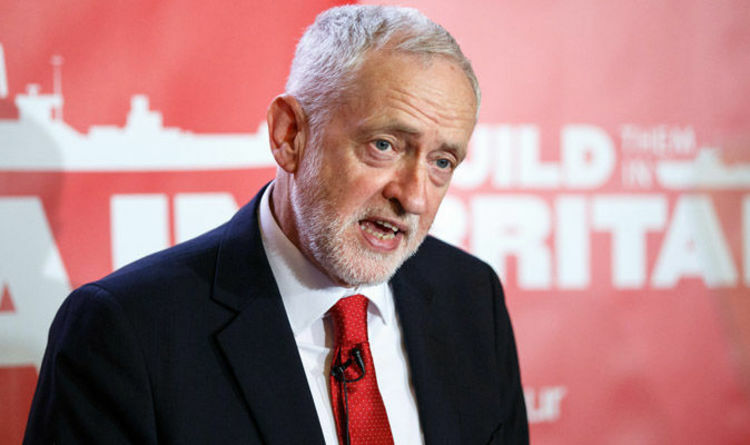 These comments came as it emerged that 12 Labour MPs are plotting to resign over Mr Corbyn’s handling of the anti-Semitism crisis in a move that potentially could trigger a no-confidence vote in the party’s leader. One unnamed Labour MP told The Sun: “Having a vote would be our way of telling the public that most Labour MPs do get what’s going on, we’re on your side – it would be about sending a message. “It’s not about triggering a leadership contest, we just want to show the public we feel their angst over the issue. At the same conference over the weekend, former Prime Minister Gordon Brown’s launched a furious attack on Mr Corbyn’s leadership and demanded Labour adopts international rules on anti-Semitism. Mr Brown hit out at the “conspiracy theorist Left” who support the Labour leader and have taken over the party. He also called on Labour to “unanimously, unequivocally and immediately” adopt the internationally agreed definition of anti-Semitism. The former Prime Minister made the plea ahead of a meeting this week of Labour’s ruling National Executive Committee on whether to adopt the International Holocaust Remembrance Alliance declaration (IHRA). Mr Brown told the conference: “I believe that the Labour Party will change the policy. “I believe that the Labour Party must and should change the policy. He added: “This is a problem that is real and present and somethings that has got to be dealt with now. Mr Brown said the definition, which has been signed by 31 countries, states that criticism of Israel cannot be regarded as anti-Semitic. He added: “The declaration is about this and this only – to condemn and root out, as they state, anti-Semitism, which ‘is a certain perception of Jews, which may be expressed as hatred toward Jews’.